Discussion in 'Cageside - MMA Discussion' started by nuraknu, Nov 25, 2018. This is a friendly prediction game with a seasonal league format, started by @Zeph and named in honour of the late Kevin 'Monster' Randleman. If you've never played before, you don't have to do anything to join except post your picks to this thread using the template for the upcoming event (also posted in this thread). Just put one X per fight. You can join in at any time during the season. For complete instructions and rules, please see the rules from a previous season, since they haven't changed, EXCEPT we will soon be deciding how to handle a tiebreaker. This game is currently run by @nuraknu if you have any questions. WINNING. The big winner gets a gold name in the forums from @Splinty until the next champ takes your belt! TEAMS THIS SEASON. The team game was decided by Team Dagger from Season 21: @jeicex, @SC MMA MD, @The Sound of Violence, and @txstr1986. Everyone will pick their favorite mma promotion over time, from choices of WEC, Strikeforce, Pride, Bellator, and Other. Please submit your pick for favorite mma promotion with your picks for the first event. Choose from WEC, Strikeforce, Pride, Bellator, and Other. Just a reminder, this will be our last season for at least a couple of months, so let's make it count! With this game going on a break... Has anyone ever ran a MMA survivor series game here? They are usually pretty fun, easy to participate in and harder than one might expect to win. Each player picks 3 fighters from each individual event they think will win. If your picks win, you move on. Those who lost, are out for the remainder of the season. Last man standing is the season champ. Seasons restart when either everyone is eliminated or a winner is declared. Season winners can rock the gold name or a banner until someone takes the belt from them. Additional rules can be included to make the game more challenging and less reliant on betting odds and easy picks. For example, any fighter who comes in as more than a -250 / -300 / -350 (a cut off point just needs to be established) would be removed from the pool for the season. They played Advance Two Men a few times, look for threads about that or ATM. It's the same concept with two picks instead of three. I think they switched because they didn't want a game where people were eliminated for a whole season and couldn't play, and also where there was a chance for no one to win. I have asked a few times in surveys if anyone is interested in going back to an ATM format or in an ATM side game, but no one seemed to want it. But imo, if you want to play it and run it, just make the thread and see who shows up. I would play. We are going on a break because I'm having a medical procedure in January, but I will probably not have trouble just picking three. Talk about a knockout-palooza up in here. I hope it's this exciting. 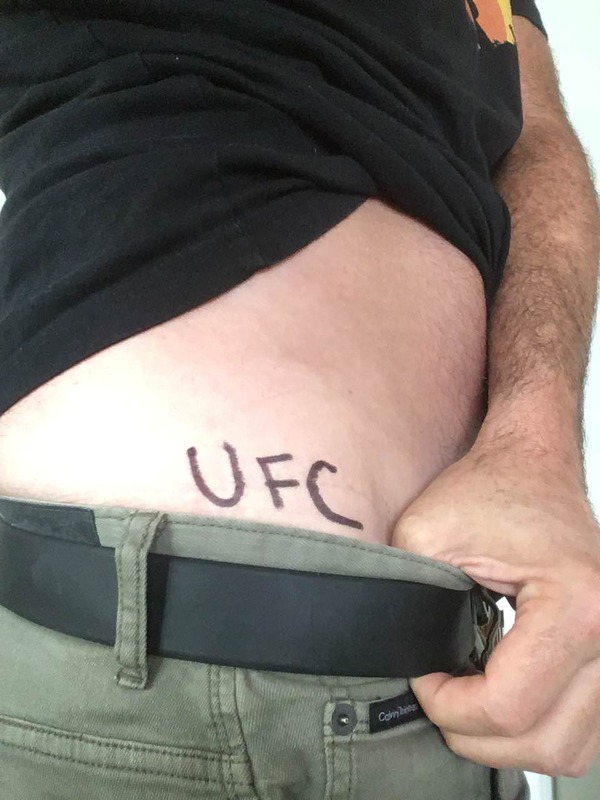 @conor mcgregor nut hugger post your picks. I want to laugh myself to sleep. We doing the 3-way bet again? 802kmighty Sub adubba dub dub!